These artistic drawings with a historical feel represent the four races that make up the cultural background of Vienna. The figures are unnamed but several of them hold military weapons or wear armour. They may depict actual kings, queens and other important figures of the Vienna Melange, some of whom have an Eastern appearance. 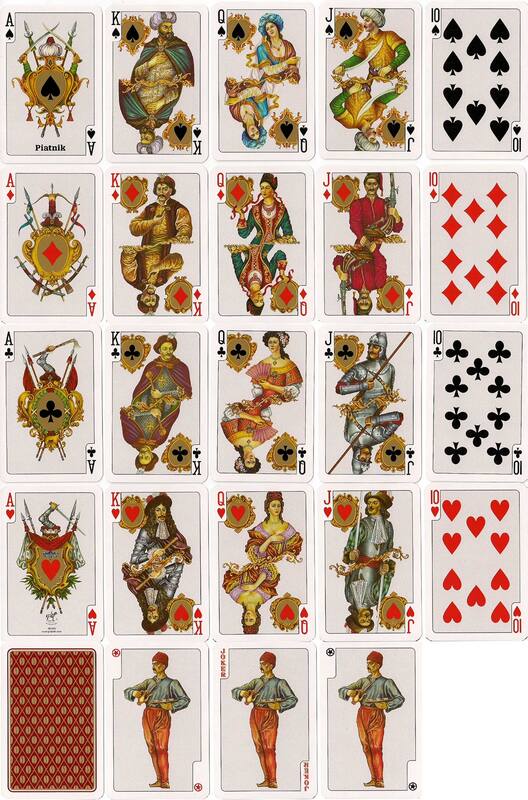 The four decorative aces, which resemble coats-of-arms, also reinforce the historical style. The Jokers show a Turkish waiter serving coffee. 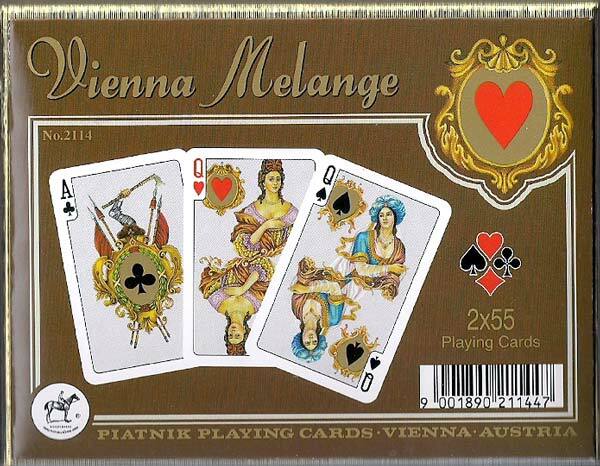 Above: “Vienna Melange” playing cards, Piatnik 1998, 2002. 52 cards + 3 Jokers in luxury box. Images courtesy Rod Starling.